As most TRF readers know, my forte is German football and national team happenings so I am thrilled to welcome a guest blogger (with mad Spanish football knowledge) to the fold. Viqas Hussain is based in the UK and a loyal Real Madrid and Arsenal fan. I’ll turn the microphone over to him as he looks to persuade the masses why Real Madrid can finally beat Barcelona. Once again, another mouth-watering el Clasico is upon us, the 6th meeting this season, and one which will be decisive in the La Liga title race. Real Madrid currently tops the table with 85 points but Barcelona isn’t far off, only trailing by four. The 164th el Clasico match-up will unfold at Barcelona’s Camp Nou this Saturday at 8PM GMT. Earlier in the season, when Real Madrid entertained Barcelona at the Estadio Santiago Bernabeu, Los Blanco’s looked like the bigger threat, especially in the first half, after scoring the fastest goal in el Clasico history in 23 seconds. After Alexis Sanchez had equalised on the 29th minute, the second half was all about the Catalans as Xavi and Fabregas scored to win 3-1. This was Real Madrid’s sixth loss to Barca, managing only one win and one draw in the last 8 encounters. The last time Los Merengues beat Barcelona was all the way back in May 2008 and they did so in style winning 4-1. Despite recent history, a Madrid victory is never out of the question, so let’s take a closer look at what Real Madrid needs to do in order to beat Barcelona in a La Liga match for the first time in nearly four years. Counter Attack with Conviction. Real Madrid is considered to be the best counter attacking team in the world by most. With Cristiano Ronaldo, Oezil and Benzema running down the field, they sometimes feel like an unstoppable force. They have utilised their counter attacking strategies well in the past against Barcelona with the use of Xabi Alonso’s excellent long and diagonal balls. If the whites get an opportunity then they should make full use of it with at least a shot on target. Sometimes what Madrid will do with these counter attacks though is that a certain player will keep the ball too long. This allows the Barcelona players time to get back and before you know it, there are more red and blue shirts than white ones. Quick and accurate passes will be needed here especially from the likes of Oezil and Benzema. Ball Possession (nine-tenth of the law). Former La Masia Youth Academy player Albert Capellas spoke of Barcelona’s ‘five-second rule’ as a key to their possession strategy. This is where Barcelona will press it’s opponents immediately after losing possession but if they fail to regain possession within five seconds, they drop deep and wait for precise triggers/opponent errors, such as the ball bouncing off a foot, before pressing again. With that said, the Madridistas will need to keep possession when they get the ball and do a lot better than the miserable 27% ball possession they managed in the January 18th el Clasico at the Santiago Bernabéu. To relieve some of the pressure, Madrid will need to keep the ball better and pass it more accurately — we have seen Madrid hopelessly kick the ball down field towards Ronaldo but 99% of the time these passes are unsuccessful. An excellent player to help Madrid keep possession is Esteban Granero. He excels at keeping the ball, regaining possession, and finding space to allow for passing, very similar to what Xavi and Iniesta execute so brilliantly for Barcelona. Ready, set go … Set Pieces + Real Madrid = 3. One aspect of Real’s game that presents opponents with a clear and present danger is the set piece. With their aerial advantage thanks to Ronaldo, Ramos, Pepe, Benzema, Khedira, and Higuain, they can easily score from a badly defended corner. However, although Madrid has a huge aerial advantage, they are equally terrible at defending set pieces as was evidenced Tuesday night vs. Bayern Munich when Ribery scored from a corner as the ball fell to his feet. Madrid have also conceded some free kicks (most recently and notably against Malaga and Villarreal) because the players in the wall don’t do their job forward instead of simply jumping in place to block the ball. This lack of concentration and focus is a concern, something that does not plague their Catalan opponents. He’s the one-time best player in the world and still contested by many as being the undisputed best. Ronaldo is very often criticised for not ‘showing up’ to the big games going all the way back to his Manchester United days where he failed to shine in the 2009 Champions Liga Final against Barcelona. Recent el Clasicos have shown that Ronaldo is now playing better and scoring more against Barcelona, scoring in the Spanish Super Cup Final and in the Copa Del Rey semi-final. The rest of his team’s mission is clear, feed CR7 and take advantage of his phenomenal aerial ability when possible. Cristiano is most likely to play on the left flank and will often find his marker Dani Alves much further down the field. Ronaldo will need to exploit these situations, exploit ‘acres’ of space, and get a good cross into Benzema or even a shot on goal. Lionel Messi … One and Only. The best player in the world, and possibly all time, is impossible to stop 99% of the time. Having scored 63 goals, in all competitions already this season, 10 more than Ronaldo, Lionel Messi is having his most prolific season of his young career. Many managers have tried and failed to contain Messi from unleashing his black magic trickery, invisible movement and stunning finishes, not least of all Jose Mourinho. Back in last year’s Champions Liga semi-final el Clasico, Mourinho played Pepe in midfield to contain and track Messi wherever he went but this proved to be a disaster as Pepe was red carded for a rash challenge on Dani Alves and Messi subsequently scored 2 goals. If you appoint a player to Messi, Messi will drag the defender out of position and allow Xavi and Iniesta too much space. The best option is to mark Messi from zone-to-zone but this will require excellent communication led by Sergio Ramos. Defending in numbers has been a popular yet failed strategy. 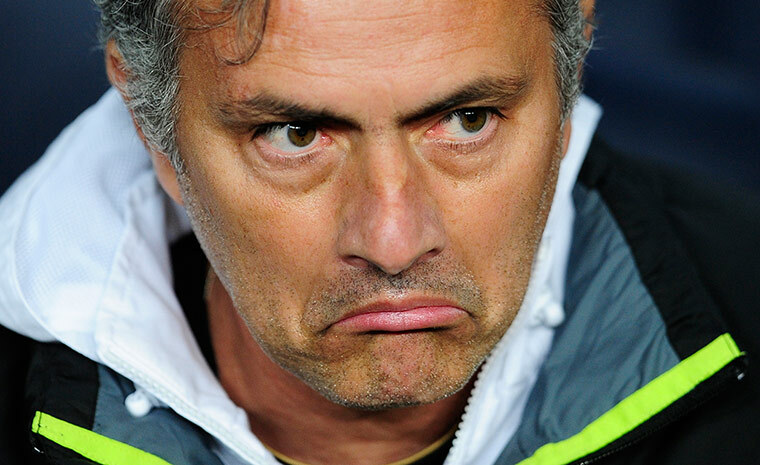 Jose Mourinho … Not very special vs. Barcelona. Many admire Jose Mourinho for his use of mind games to unsettle the opposition and never letting them know what his next move is. From getting red carded himself several times to poking Pep Guardiola’s assistant Tito Vilanova in the eye, his antics have really unsettled the players and disrupted the matches. This has been continually happening in La Liga so it’s anyone’s guess which Mourinho will show up on Saturday. 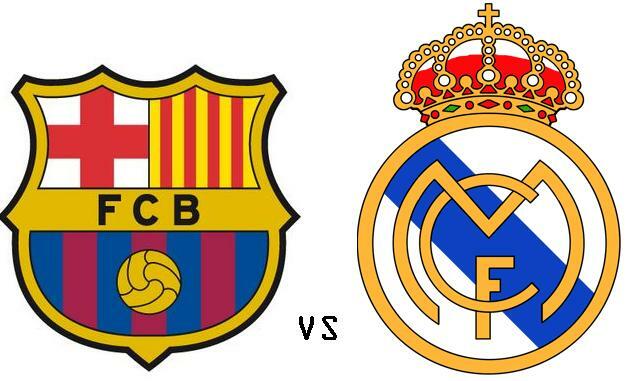 In all time La Liga matches between Real Madrid and Barcelona, Real Madrid has won 68, Barcelona 64 with 31 draws. The bottom line: Barcelona may be the best team in the world, but as Chelsea proved this week, they are still beatable!